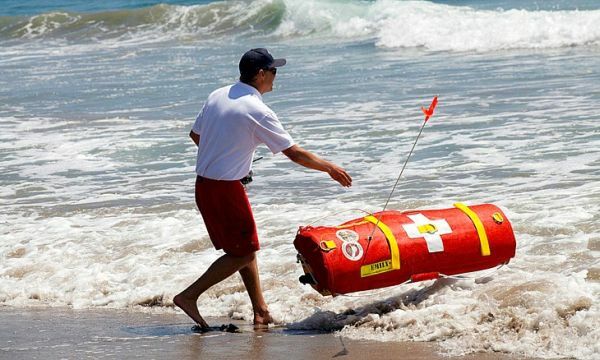 Emily – a remote controlled robotic lifeguard will be soon deployed at Dubai’s beaches for rescue missions. Boat shaped Emily is the latest technology used by the Dubai Municipality for ensuring safety of the beachgoers. Measuring 125 centimeters tall, the bot is equipped with an electric pump that helps it to attain a speed of 35 kilometers per hour that is, almost 12 times faster than a human lifeguard does. It can traverse a distance of 130 kilometers. Such speed gives robot advantage over humans as they ensure prompt arrival of help for those in distress in the sea. The robot’s weight 11 kilograms, making it light enough to be carried from the base to the sea and to float freely. It operates on recycled batteries that take about 45 to 90 minutes to get completely charged. Once charged the bot can take up 30 rescue mission. Emily is designed to withstand the adverse climatic condition such as high waves or ocean currents. Such event makes rescue operations difficult and dangerous for human lifeguards. 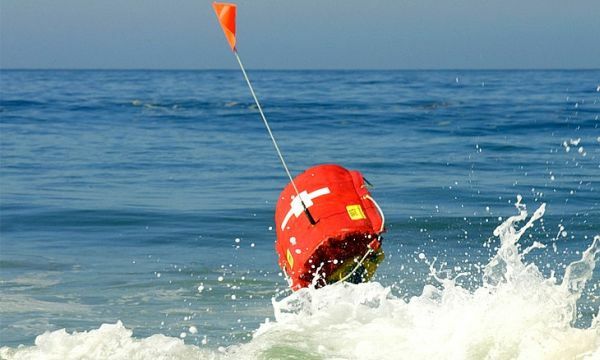 Moreover, robotic lifeguards at the same time can keep 4 to 5 people afloat, supply life jackets or draw a recovery rescue line of about 2400 yards through heavy currents, until the arrival of a rescuer. Apart from rescuing a drowning person at the emirate’s beach, lifeguards using remote can also employ the robot to rescue jet skis and boats. Director of the Environment Department at Dubai Municipality, Alya Al Harmoudi says the reason behind introducing such technology is to ensure safety of beachgoers. Additionally, she says that the Dubai Government gives mandate to Municipality to keep pace with the recent technologies and innovations. Such steps ensure that all indispensable precautions and requirements are in place to improve rescue missions on Dubai’s public beaches.